South Africa’s DRDGOLD Ltd (JSE, NYSE:DRD) will commission this Thursday the first phase of the Far West Gold Recoveries project (FWGR) in West Rand, one of the assets it exchanged with precious metals producer Sibanye-Stillwater (JSE:SGL) (NYSE:SBGL) early this year. The project is a large-scale, long-life surface tailings retreatment that will retreat material with a 35% higher gold content than the material treated by DRDGold at its flagship Ergo metallurgical plant on the East Rand. The project is a large-scale, long-life surface tailings retreatment that will handle material with a 35% higher gold content than at DRDGold's flagship Ergo metallurgical plant. While Sibanye-Stillwater plans to retain long-term exposure to FWGR, set to be one of the largest tailings recovery operations in South Africa, it left the development of such endeavour to DRDGold, it said Tuesday. Chief executive Niël Pretorius said earlier that the company was targeting a processing rate of 500,000 tonnes per month, expected to be achieved in the first quarter of 2019. 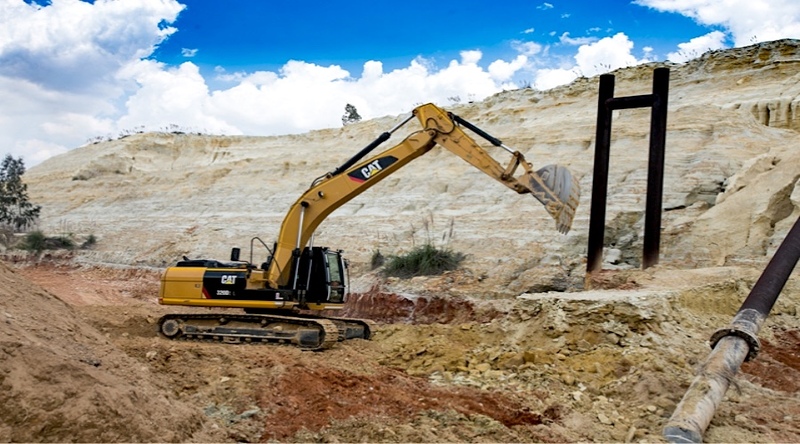 As part of early-stage commissioning, Pretorius said face has been established at the Driefontein 5 tailings dam reclamation site, from which pumping of reclaimed tailings through a new 2km pipeline to the Driefontein 2 plant is set to begin. A parallel pipeline to return water from the plant to the reclamation site has also been completed. In phase two, scheduled to come online two years after phase one, a central high-volume processing facility and new deposition site will be developed to handle about 1.2 million tons of material monthly from different sources. Sibanye-Stillwater is South Africa’s largest gold producer and the world’s third largest producer of palladium and platinum.